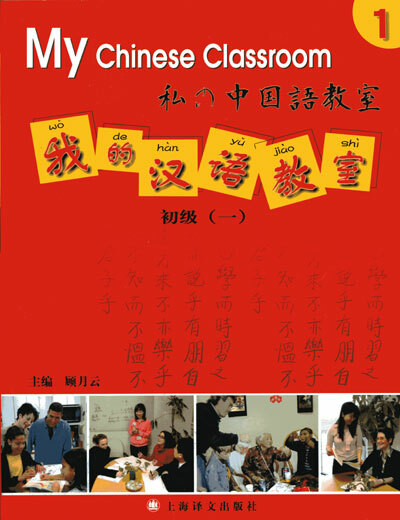 In case it’s not obvious, this book is not the place to start learning Chinese grammar. 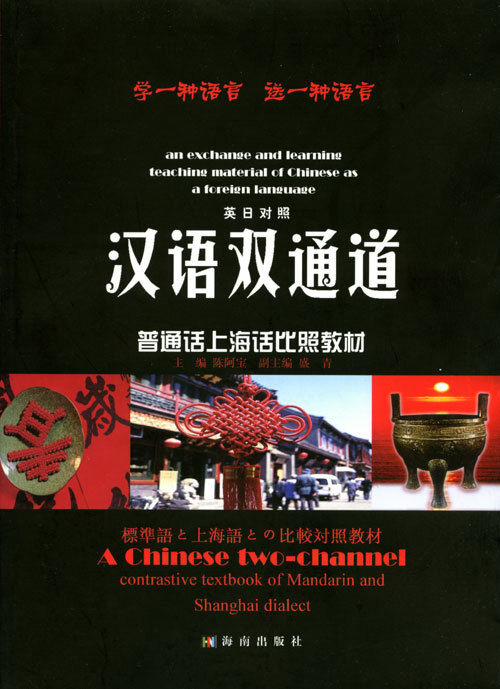 Sure, it’s packed full of great information and important side notes, but it’s going to be most valuable as a reference material, such as a handbook for a student who’s studied Mandarin for a year, then plans to go to China, but doesn’t want to take his old textbooks. You often hear people saying that Chinese has simple grammar, and the most often cited reason is that “Chinese has no tenses.” It’s true that Chinese verbs do not have tenses, but Chinese grammar does have a formal system for marking aspect. What is aspect? Most English speakers don’t even know. In linguistics, the grammatical aspect (sometimes called viewpoint aspect) of a verb defines the temporal flow (or lack thereof) in the described event or state. In English, for example, the present tense sentences “I swim” and “I am swimming” differ in aspect (the first sentence is in what is called the habitual aspect, and the second is in what is called the progressive, or continuous, aspect). 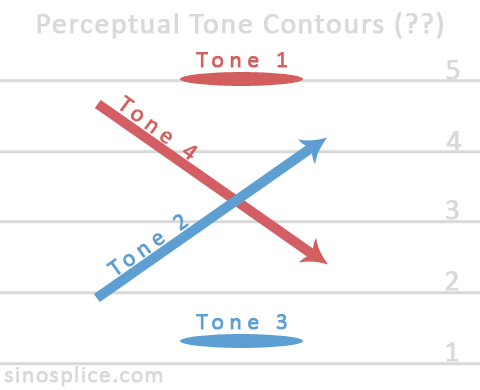 The related concept of tense or the temporal situation indicated by an utterance, is typically distinguished from aspect. So if the temporal situation (tense) of a verb is typically distinguished from aspect, shouldn’t we English-speakers be more familiar with it? OK, it’s starting to become clearer why English-speakers aren’t familiar with aspect. But what’s this business about “English largely separates tense and aspect formally”? According to one prevalent account, the English tense system has only two basic tenses, present and past. No primitive future tense exists in English; the futurity of an event is expressed through the use of the auxiliary verbs “will” and “shall”, by use of a present form, as in “tomorrow we go to Newark”, or by some other means. Present and past, in contrast, can be expressed using direct modifications of the verb, which may be modified further by the progressive aspect (also called the continuous aspect), the perfect aspect, or both. These two aspects are also referred to as BE + ING and HAVE +EN, respectively. Aspect, as discussed here, is a formal property of a language. Some languages distinguish different aspects through overt inflections or words that serve as aspect markers, while others have no overt marking of aspect. 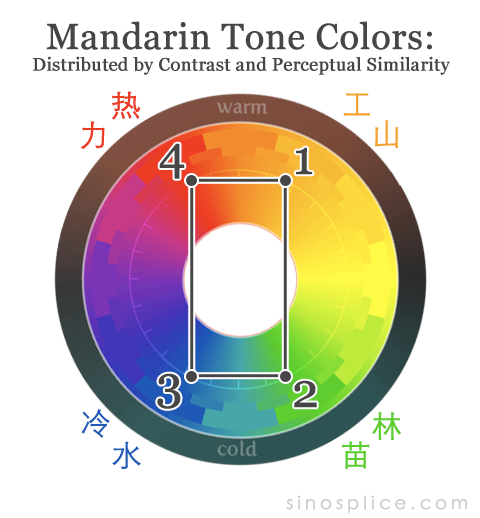 […] Mandarin Chinese has the aspect markers -le, -zhe, and -guo to mark the perfective, durative, and experiential aspects, and also marks aspect with adverbs…. 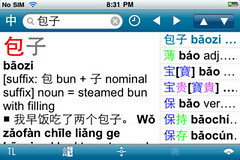 If you study modern Chinese grammar, you’ll learn that Mandarin has three aspectual particles (时态助词): 了, 着, and 过. It would be nice if that were all there was to it, but the Chinese situation, similar to the English one, is a bit muddled. That’s about as clear as it gets. 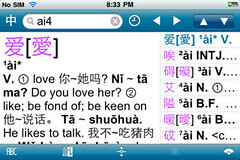 In the case of 了, the word has a split personality and sometimes acts as an aspectual particle, sometimes as a modal particle (语气词), and sometimes both. 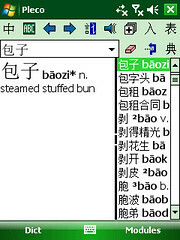 There is endless fun to be had studying 了 (I know; I took several syntax classes in grad school). 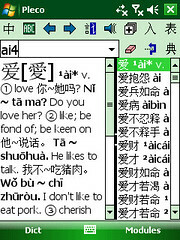 着, on the other hand, is sometimes relieved of its aspectual duties by the adverbs 正 or 在 (or 正在). But then there are some that say that would prefer to draw fine distinctions between these usages as well. It’s funny to think that Chinese grammar is still in its “Wild West” stage. 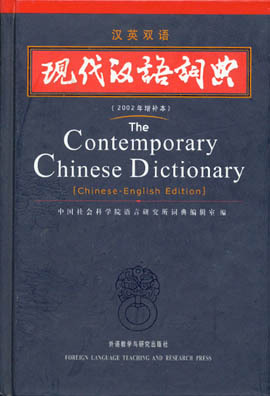 Linguists are still debating all kinds of fundamental issues of grammar, both within China and without. While you can say with conviction that “Chinese has aspect, not tense,” you can’t say a whole lot more than that. For learners who want to “know the rules,” this can be more than a little frustrating. The good news is that, like all languages, it rewards the persistent. The Kool-aid tastes downright weird at first, but if you just keep drinking it, it starts to taste right. I’m a bit of a sucker for Venn diagrams. 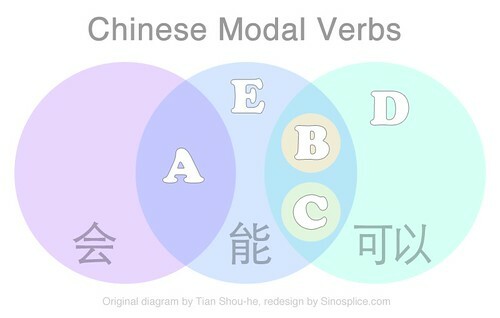 When I was recently asked by a student about the Chinese modal verbs 会, 能, and 可以 (all of which can be translated into English as “can”), I recalled a nice Venn diagram on the topic and dug it up. Yeah, grammar needs more Venn diagrams. > Why? Work took me to China, and my first trip opened my eyes to a whole new world. I found China to be a fascinating surreal collision of Old and new, rich and poor, east and west, tradition and modernity, capitalism and communism, ancient wisdom and modern foolishness etc etc. > The language is beautiful, clever, compressed and elegant like a good math problem. The characters are not only a challenge but also elegant and beautiful, an art form in their own right, but also just systematic enough to appeal to the analyst in me. 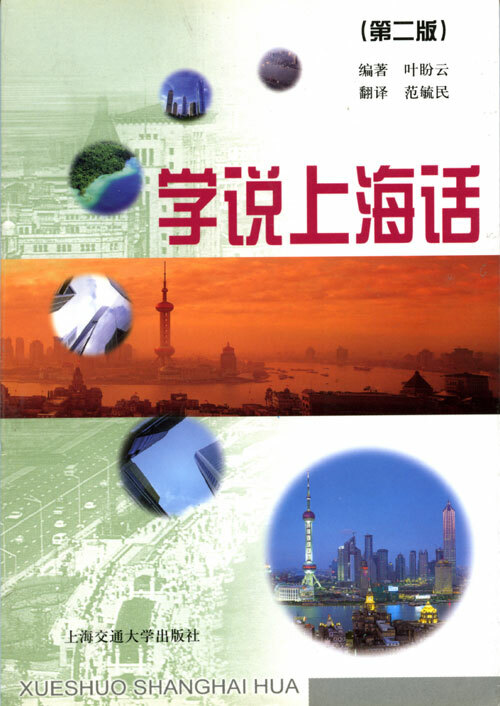 > I found myself wanting to travel China and learn more and more. The people are wonderfully friendly, selfless and caring, generous to a fault, and just great hosts with hospitality second to none. As I sit at dinner with these folks, I want to “hear” what they are saying, feel what they are feeling” I want to participate in the conversation, I want to gather as well as share new ideas. I want to read, write, listen, and speak. I want to be a part of it. I want to be a part of China. I want to be a part of the Chinese family. I want to be able to separate the old lies and prejudices from the modern truth. > This is why I am learning Chinese, which has now become a wonderful and fascinating hobby. A bottomless pit from which I pluck new information, ideas, and unexpected “joys” on a daily basis. No end in site, and for that I am grateful. And then there is Cpod and the community that comes with. Priceless. The 囧 (jiǒng) phenomenon has been around for a while now, and I’m starting to see more and more permutations of it. Here are a few examples. 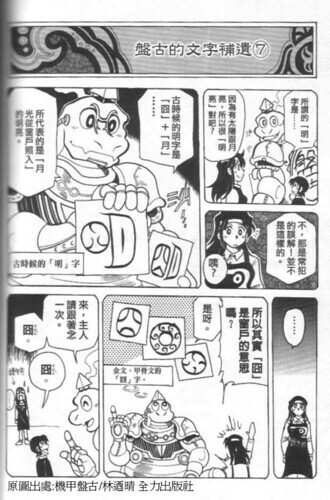 The comic says that the character 明 actually derives, not from 日 and 月 as is commonly taught, but from 囧 and 月. This etymology seems to confirm it. So one of the earliest character etymologies we learn (sun + moon = bright) is either a lie, or actually just a bit more ambiguous than we were led to believe? Interesting! 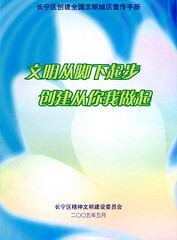 I recently received a new submission for the CBL called blog中文翻译 (“blog Chinese translation”). It doesn’t qualify to be listed on the CBL, as it’s almost entirely in Chinese, but it’s a good idea nonetheless. The author starts an entry with a link to an online English article, then translates it. 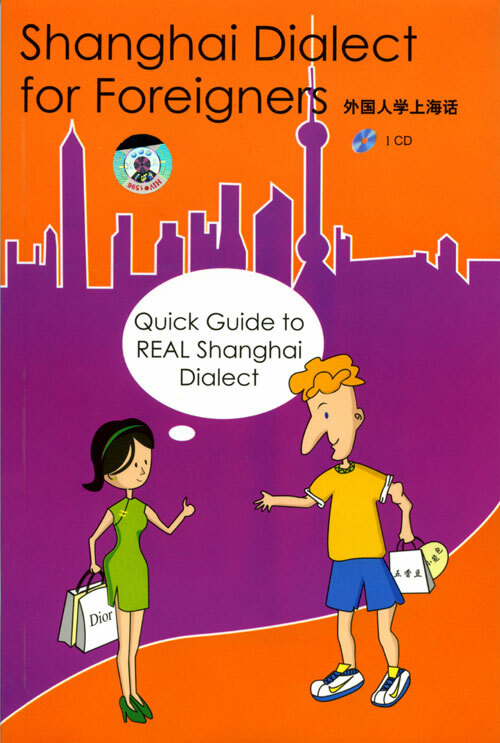 It could be very useful to Chinese readers as well as to advanced students of Chinese. The topics all seem to be geeky tech topics. I haven’t yet taken the time to judge the quality of the translation. There are some terms in the translations which I would not be at all sure how to verify. For example, in one article the author translates “semantic web” as “语义网.” 语义 is indeed the Chinese linguistic term for “semantic” or “semantics,” and 网 clearly means “web,” but is that the official translation for “semantic web?” In this case, it is. However there have to be plenty of cases where a convenient translation standard doesn’t exist. My girlfriend and I have been staying with my parents here in Tampa since the 4th of July. My family has been very generous and hospitable to her during that time. Naturally, her response was, “我觉得不好意思.” Then she asked me how to say 不好意思 in English. I usually find 不好意思 pretty easy to translate, as it can often correspond to “sorry” or “excuse me” in English. When you’re a little late to a meeting, you can say 不好意思 (sorry). When you eat the last cookie and then somone else wants one, you can say 不好意思 (sorry). When you bump someone on the subway, you can say 不好意思 (sorry). 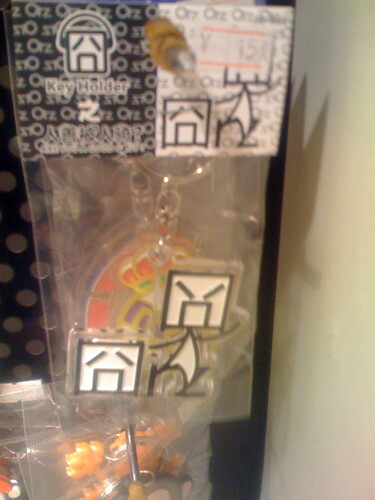 Pei sei is apparently a Taiwanese coinage also meaning 不好意思. According to my source, by speaking fast, the Taiwanese ran the 4 syllables together so much that they became two: pei sei. I thought that was kinda of interesting. I think probably every language has funny words for animals that are based on other animals. In English we have guinea pig, groundhog, hedgehog, prairie dog, jellyfish, and sea lion. I don’t think those are going to change. The ones targeted for “revision” seem to be the ones that are actually potentially misleading due to great similarity. I’m sure there are more, but I’m not a Chinese animal name encyclopedia. Maybe I’ve left out a lot, but it seems to me that Chinese does a lot more “borrowing” of animal names to create new animal names than English does. Could it be related to Chinese characters? (A large number of animals have their own characters, but at some point that practice becomes impractical.) It seems that a much greater proportion of animal names in English are loanwords. I’m not really trying to prove anything here… Just throwing out a few thoughts. Also, I think it’s names like the Chinese examples above that make learning a new language interesting, so it’s a fun thing to share.